Last weekend I managed to complete the 2011 Hog Loppet for the first time since… 1997?? That’s a long time ago! They’ve made a lot of improvements to the grooming and the course was mostly well groomed (except for the very first tromp through the trees). 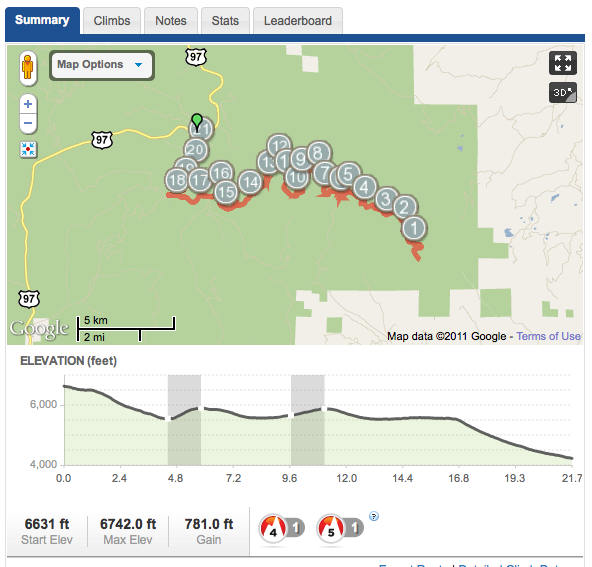 Here’s a screen shot of the route. You can also view more information about my ski on Saturday HERE. Posted in Snow and Travel.